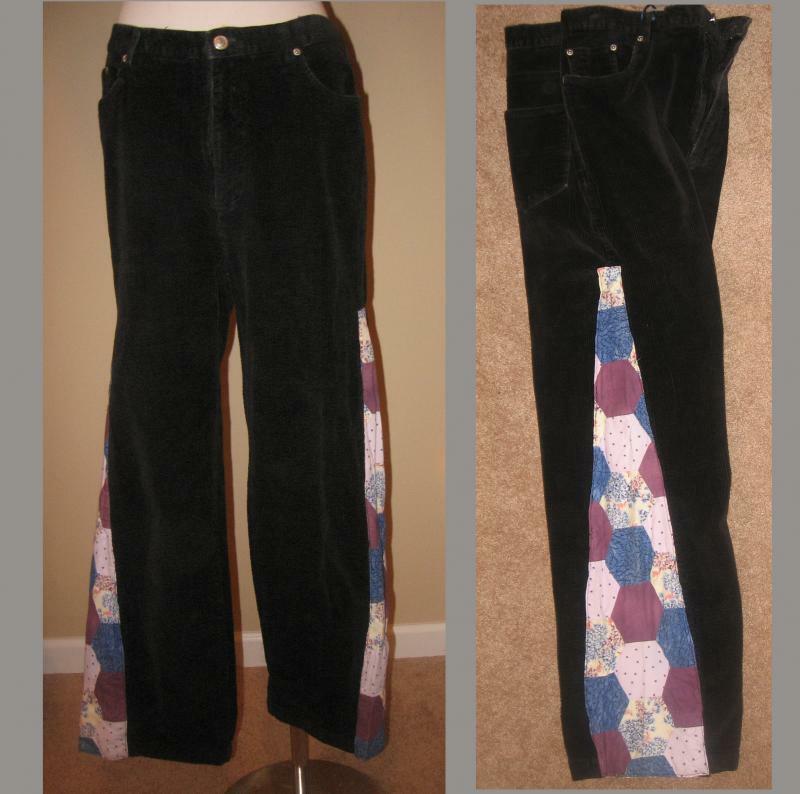 ORDER YOUR CUSTOM PAIR OF SIDEPANEL PANTS! MANY COLORS AND SIZES OF CORDS IN STOCK READY TO BE TURNED INTO YOUR UNIQUE PAIR! 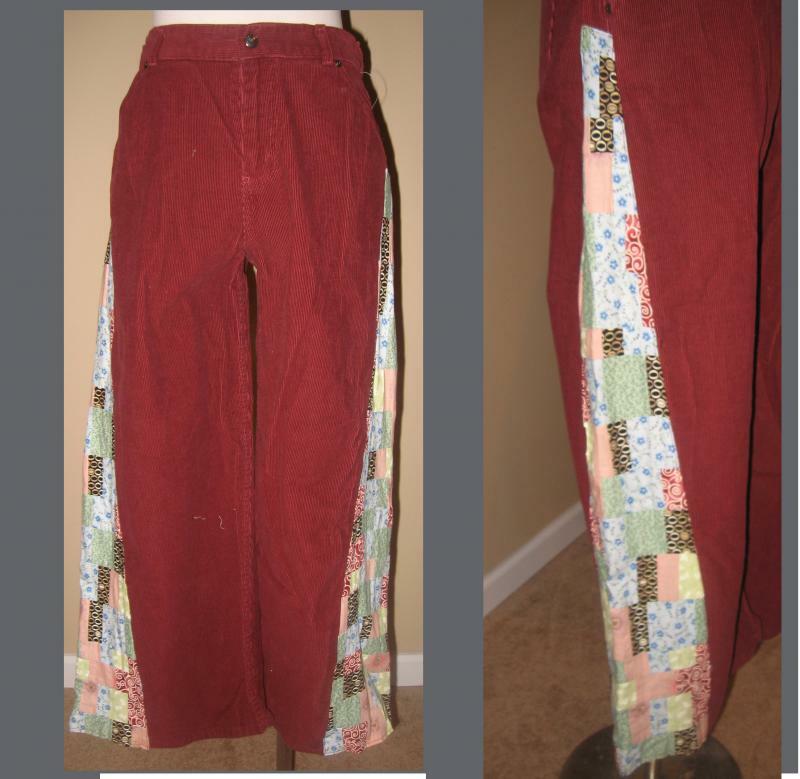 Soft Cotton Flannel Patch Pants with two button closure back pockets and two side pockets. 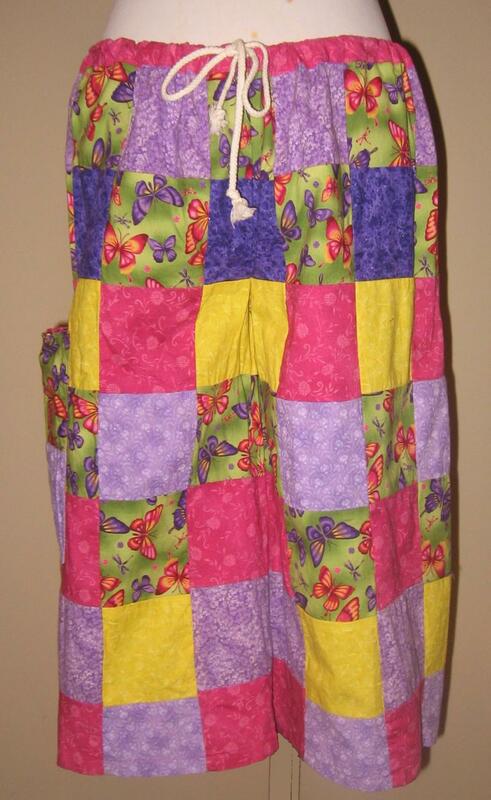 Will fit sizes 6-10 (maybe 12) with it's drawstring waist. It is average length and fit most people from 5'4"- 5'8". 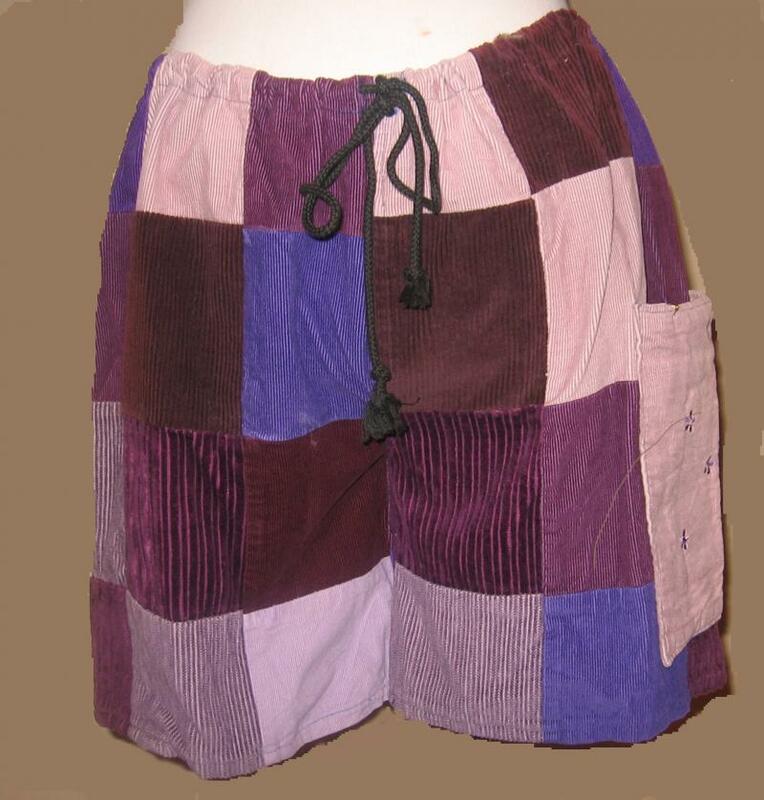 Cotton Calico patches comprise these cute capri pants with side cargo pocket and drawstring waist. Fits about size zero to six. I've had these for a while so I priced them very low! 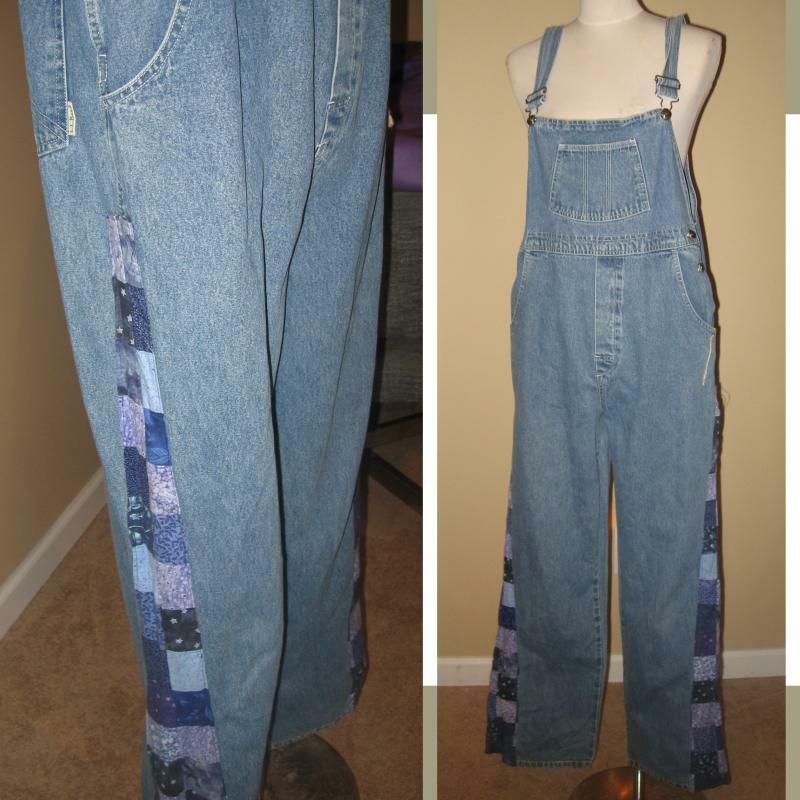 To the left are examples of pants available for custom orders and the corresponding price list. 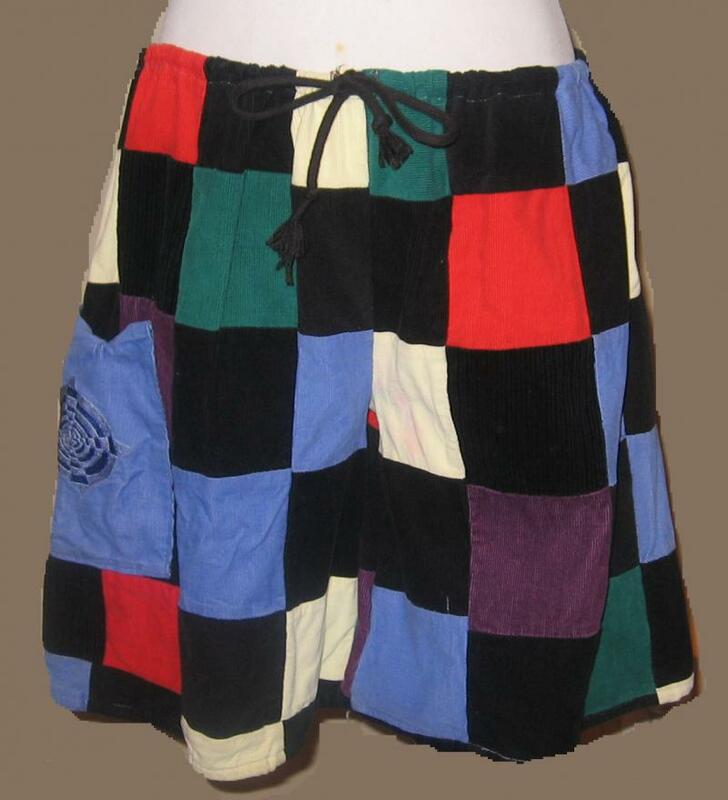 All patchwork pants include your choice of applique or embroidery on the cargo pocket, please write in a first and second choice of design in the box with your color choices. All pants have drawstring waists. 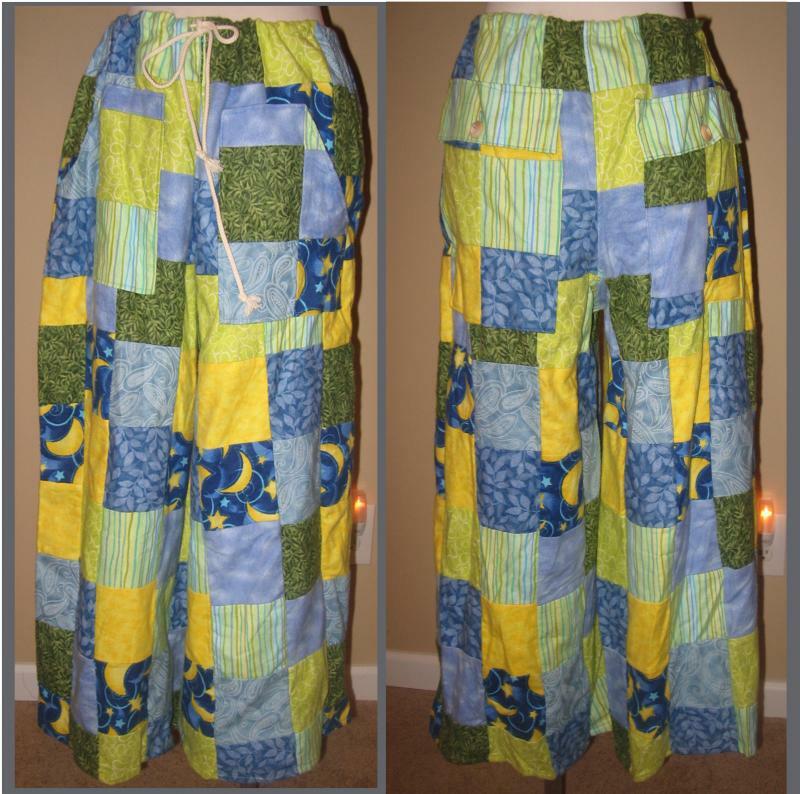 Hemp pants have your choice of leafy vines around the legs or an applique on a leg or a cargo pocket with a smaller applique or embriodery pattern. Hemp Pants also have back closure pockets or side slit pockets, please indicate your preference. Also note for Hemp Pants, the hemp is all dyed by me and often have variations in shades throughout the material and color choice is approximate. Scene shorts will not have scenes exactly like the example shown, each is unique and you may request what is in the scene, mountains, pine trees, a stream, etc.